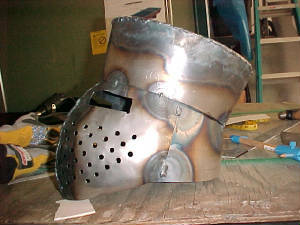 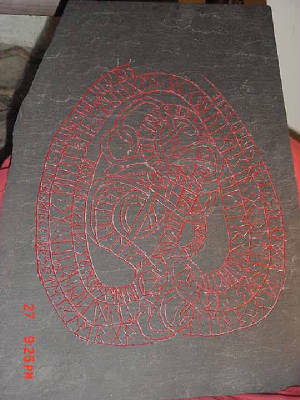 Here are some images of Bjorn's A&S projects. 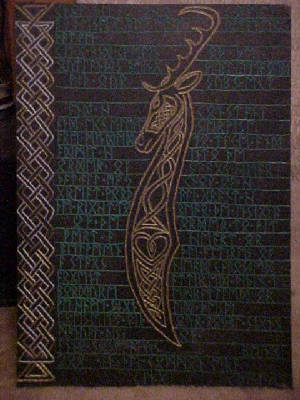 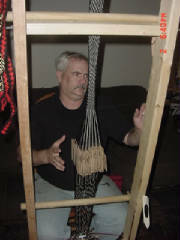 3/5/07- Bjorn has been working on tablet weaving projects since early last year and has come up with a couple designs for tablet weaving looms. 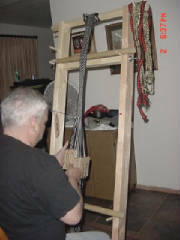 Pictures below are of his adaptation for a vertical tablet weaving loom. 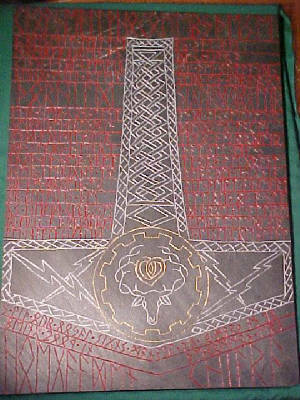 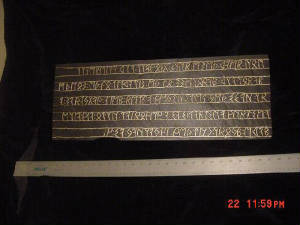 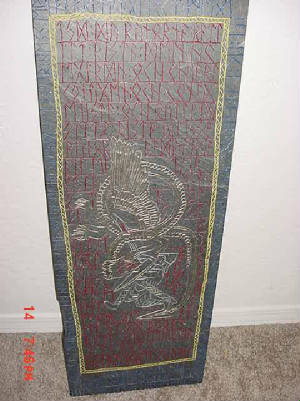 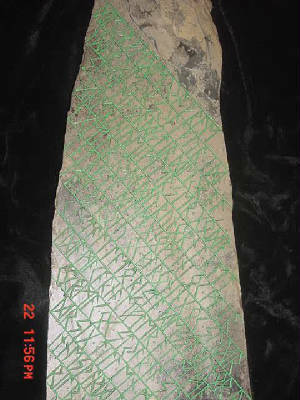 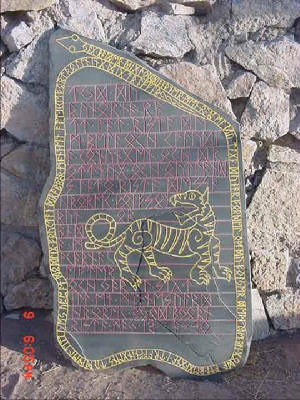 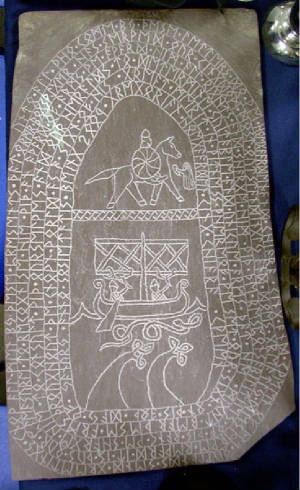 Below are examples of Bjorn's research into rune forms and the resulting scrolls. 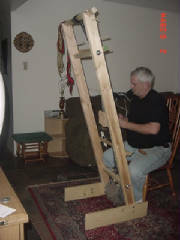 Reenactor t-shirts and sovenirs are at our CafePress store: www.cafepress.com/nordic-arms .